Crystal Regan, our lovely and talented Director of Children’s Ministry, put together a festive spread for the December elder meeting last week. 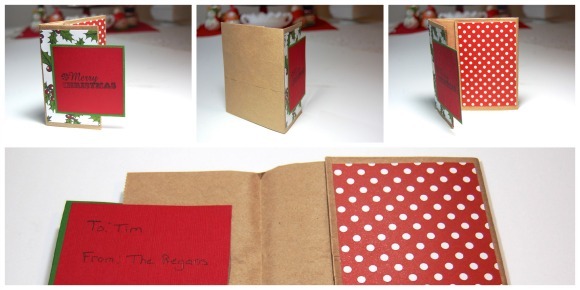 Each place setting included one of these sweet Christmas Cards made from a brown paper bag and scrapbook paper. I adore the creative construction and use of such a common household item Plus, clever folding produces a little pocket for a gift card or personal note. All you need is a lunch sack, paper, scissors, and glue. I constructed a prototype with a smaller sized paper bag, so the folds are approximate. The paper measurements are for Crystal’s card, above, which uses a standard brown lunch bag. Adjust the paper size according to the size of your bag. 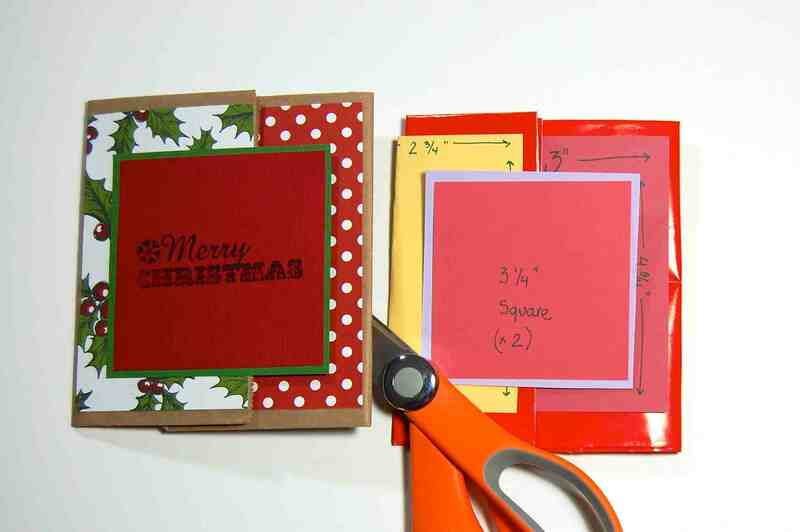 Cut your paper scraps to the designated sizes indicated below (also in the photo above). Fold the paper bag inward on the dotted lines shown above. On the bottom part of the bag that was folded over, glue along the edges to create the pocket. 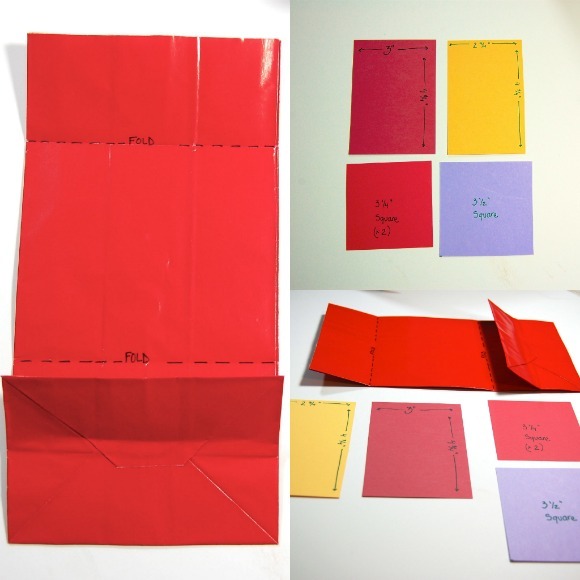 Use the photo below to guide you in gluing the decorative paper onto your bag. The second 3 1/4″ square is glued on the inside of the front flap. 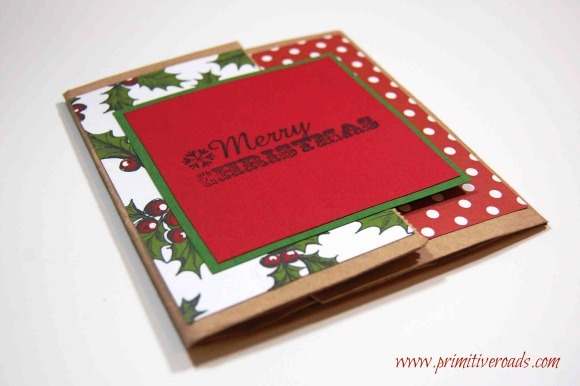 These cards are simple and would be fun to construct with kids. Plus, the design is only limited by the event or your imagination. 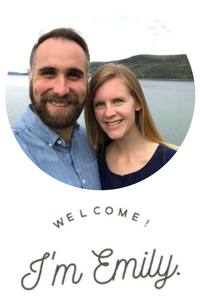 Have fun – I would love to see or hear about your card creations! Update: I made a video tutorial for creating a sweet Valentine’s Day version.